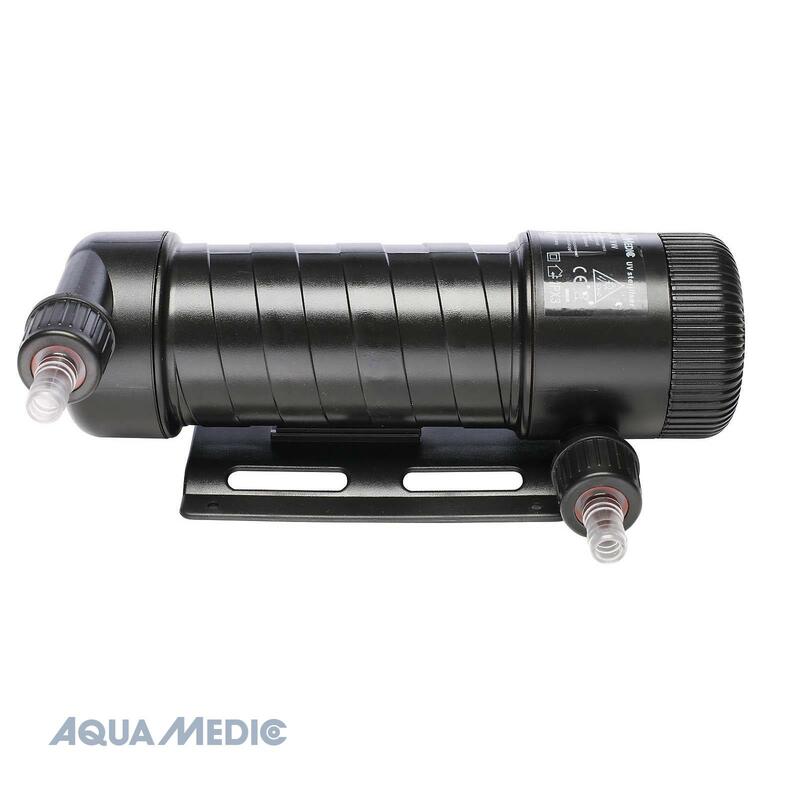 Aquamedic Helix Max UV sterilisers can eliminate single cell algaes giving crystal clear water in aquariums and ponds. 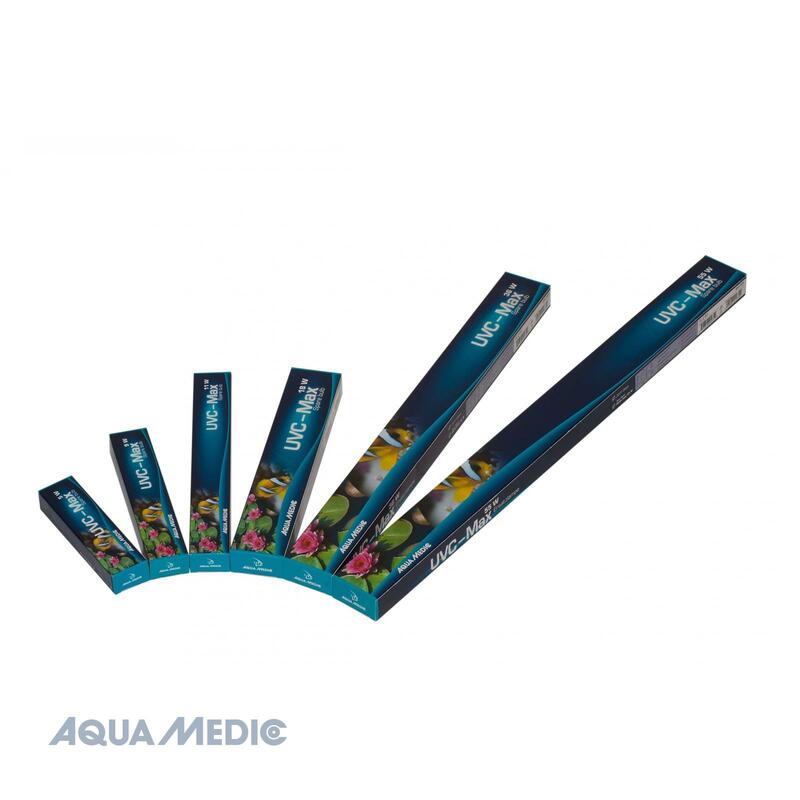 Aqua Medic Helix Max UV sterilisers can eliminate single cell algaes giving crystal clear water in aquariums and ponds. The water is directed in a spiral path around the quartz tube resulting in more efficient use of the UV radiation than in standard units. The inlet and outlet fittings can be rotated through 360° for easy mounting at any angle. All Helix Max with a rubber cable and high frequency electronic ballast, for garden ponds, salt- and freshwater aquariums. The electronic ballasts increase the lifetime and the efficacy of the UV lamps.